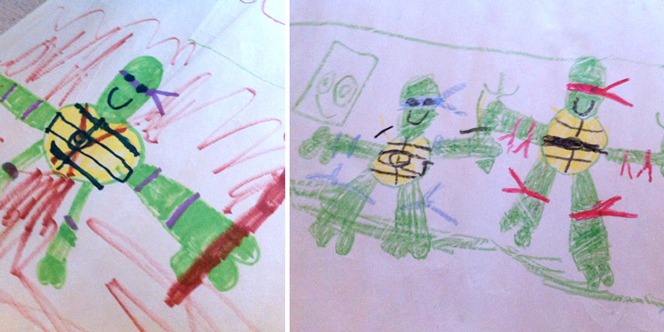 I recently visited my great aunt, and while chatting and giving her a bit of an update on life/work and reminiscing about time spent there as a kid, she brought up that she still had a few drawings I did when I was about 5 years old. 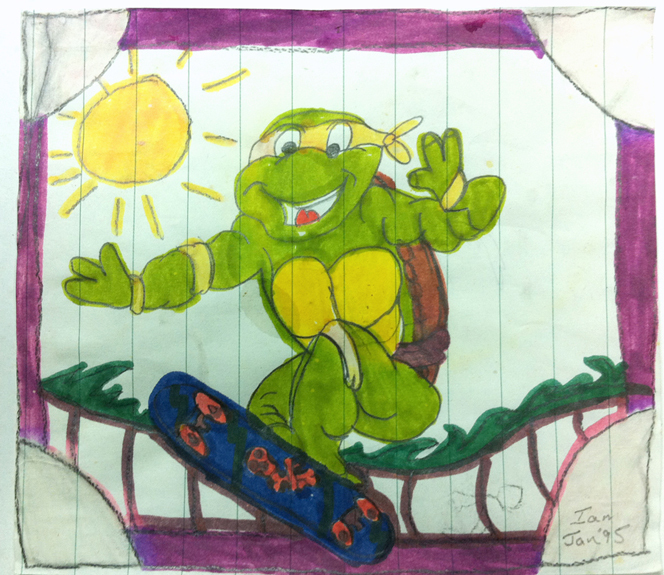 Naturally I had to see, and I was excited when they turned out to be some of the first drawings I had ever done of my favourite childhood characters, the Teenage Mutant Ninja Turtles. This got me wondering if there were any other gems like this floating around, so after a quick call to my mom, she emailed me a picture my dad had up in his office from when I was 8. It was so cool for me to not only see some old drawings in my favourite medium at the time (felt & crayon), but to also see the progression from age 5 to 8. This really inspired me to see what I could do now, 20 years later, as a comparison. Coincidentally, I had just purchased a Wacom Cintiq tablet that I was itching to try out. 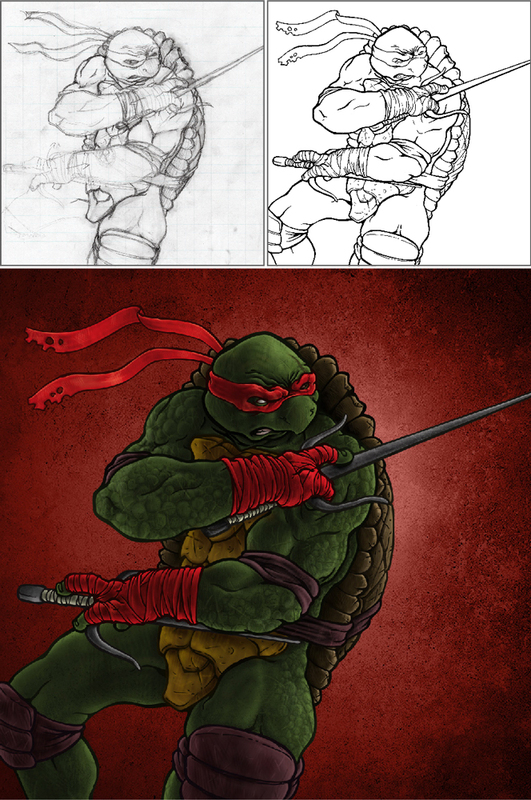 This seemed like the perfect chance to show the juxtaposition of my childhood with my career illustrations, along with some of my first work with a felt pen and my first time trying the digital paintbrush. 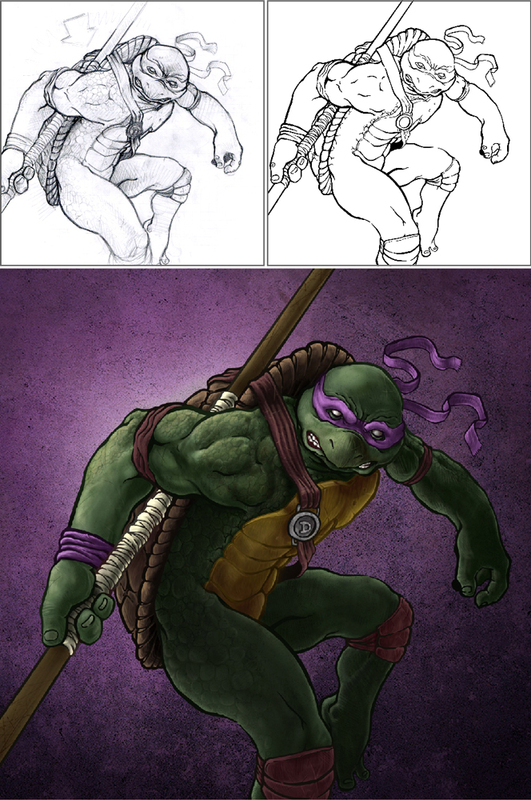 Below are my pencil sketches, inked illustrations and the final coloured in photoshop. 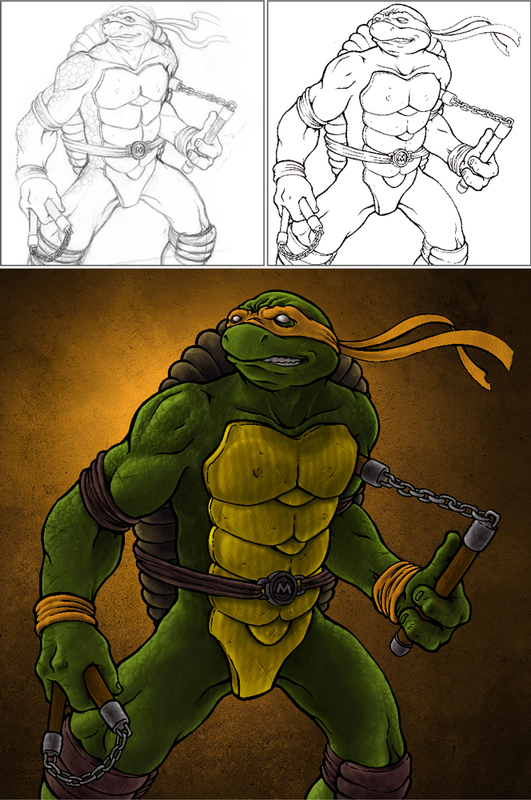 This was a really fun personal exercise see the final progression from age 5/8 to now, and to try out a new tool/medium I had never used before. I was fairly hesitant at first as I tried to decide how to start, but figured I’d dive right in and start with a similar process I use when doing oil paintings. I was pretty surprised to see how well those techniques translated to the digital medium. And now that I have a bit better understanding I’m really excited to start trying new techniques and styles that painting in Photoshop can offer. 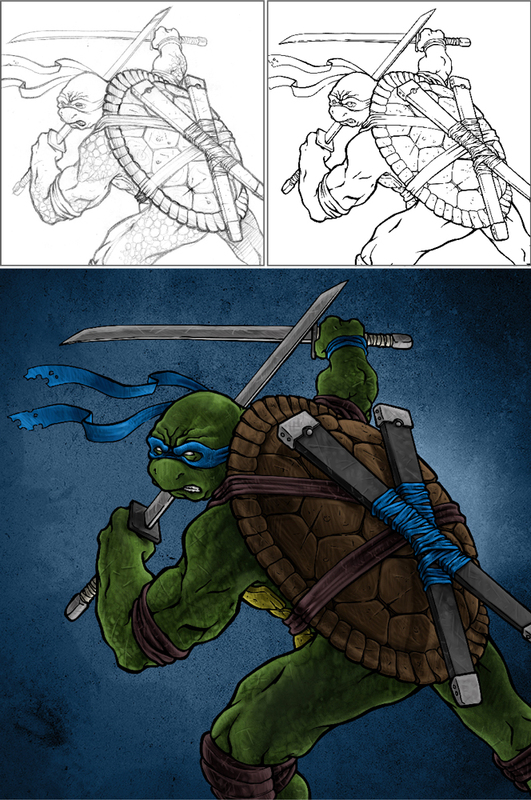 There’s an unlimited amount of tools and approaches you can do/combine in this medium and I’m curious to see what my TMNT illustrations will look like in a few years. Tagged Digital Painting, Fan Art, Illustration.